Final Four tickets are available at DirectSeats.com for immediate purchase using the discount promo code FINAL4. This FINAL4 promo code is available for any Final Four ticket purchase over $200. After a lifelong career in the ticketing industry, the co-founder of DirectSeats.com, Roger Decker, is excited today to announce that the innovative new ticket broker website DirectSeats.com has been launched with its headquarters in the heart of the Dallas – Fort Worth Metroplex. 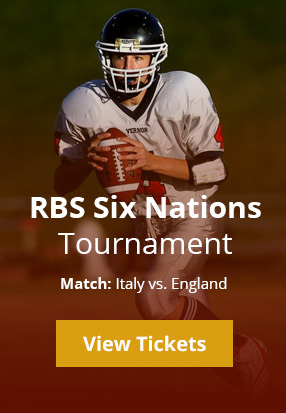 This brand new website interface provides seamless click-and-purchase capabilities for fans of all events including the Final Four to purchase event tickets worldwide. Roger created DirectSeats.com with you, the event enthusiast, specifically in mind. As not only a fan but also a seasoned ticket broker of over twenty years, Roger has learned what fans want when shopping for Final Four tickets – authentication guarantee, customer service, and accountability. Attending music shows and sport events has always been Roger's passion, and at the age of 16 he entered the ticketing industry working for a ticket broker who paid him to stand in line to purchase tickets. By the age of twenty he worked for a local ticket broker where he learned the bread and butter of the local ticket broker business by selling parking tickets, game tickets, and performing customer service. When Roger was not working, he was attending events and mingling with the fans. After working with the local ticket broker, Roger became a national independent ticket broker for the next five years. Because this was not just a job, but also a way of life, Roger was able to attend events including the Indy 500, Final Four, and Super Bowl as well as follow concert tours on the road. This experience enabled Roger to gain the knowledge of the ticket broker industry on a national level. Specifically, he acquired an in depth knowledge of the factors that affect ticket demand fluctuation. After several years as an independent broker, Roger was recruited by a high volume ticket broker in 2000 as the ticket wholesale manager. As Roger witnessed the ticketing business slowly shift from a traditional business model to an Internet business model, he shared his vision for DirectSeats.com with the Internet technology company CAP Digisoft Solutions, Inc. to help turn his dreams into a reality. Today, Roger is proud to announce that fans worldwide can easily shop for Final Four tickets worldwide at DirectSeats.com and receive a 100% ticket authentication guarantee. Enjoy the Final Four! DirectSeats.com specializes in the sale of online tickets including Final Four Tickets and is a subsidiary of CAP Digisoft Solutions, Inc..
FINALFOUR is the promotional discount available immediately at DirectSeats.com on purchases over $200. Final Four Tickets will most likely go instantly and tend to be in substantial demand each and every year. This is the initial year of the innovative college basketball tournament layout which has extended the field to 68 squads. The First Four playoff occurred for the first time this year and Virginia Commonwealth is the First Four sensation. Houston's Reliant Stadium plays host to The 2011 NCAA Final Four less than one week from now, and Final Four tickets are the sports nation's hottest commodity. This year's Final Four tickets are sure to go quickly, as the drama unfolds between NCAA titans Kentucky and UConn, the winner of which looking to retain their historical power over the winner of tournament underdogs Butler and the Rams of the Virginia Commonwealth University. DirectSeats.com, the newly launched Dallas-Fort Worth based brainchild of twenty year ticket industry veteran Roger Decker, is at the forefront of getting anxious NCAA fans Final Four tickets. Decker is continuing the FINALFOUR promotional discount on Final Four ticket purchases over $200 against a strong demand and the high level of traffic to the new web interface. Roger Decker's DirectSeats.com offers seamless click-and-purchase capabilities for fans of all events to purchase event tickets worldwide. 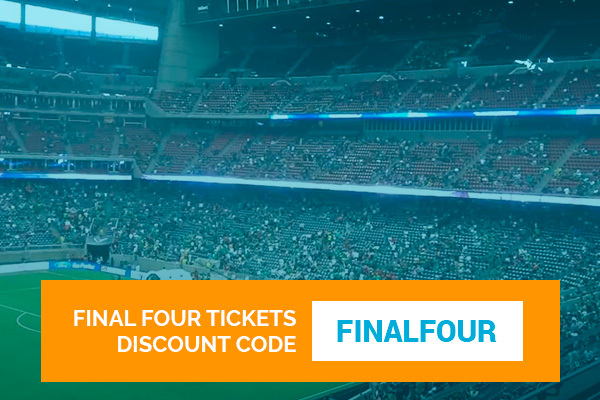 A 100% ticket authentication guarantee is a hallmark of DirectSeats.com, and those shopping for Final Four tickets at Reliant Stadium on the site are provided that benefit. Decker's career experience started at sixteen years old, and spans from local and national ticket broker, and from independent to national brokerage houses. Additionally, his acute awareness of ticket demand fluctuation has made him quite successful. Decker witnessed the ticketing business slowly shift from a traditional business model to that of an Internet based one. DirectSeats.com was born with the help of worldwide Internet technology company CAP Digisoft Solutions, Inc. Decker's technology dream is a reality today, and Final Four tickets can be purchased with the authentication guarantee, customer service, and accountability today's fans come to expect, and the additional benefit of the FINALFOUR promotion. DirectSeats.com is one of the largest and most reputable ticket brokers in the country, offering a 100% authentication guarantee on premium, last minute and hard to find tickets. They specialize in the sale of online tickets for up to 80,000 events worldwide, including Final Four Tickets. Along with guaranteeing the authenticity of tickets, DirectSeats.com offers on-time delivery, top-notch customer service, and a great overall ticket buying experience. DirectSeats.com is a subsidiary of CAP Digisoft Solutions, Inc.
Get your Final Four Tickets to the 2011 Final Four and watch the madness roll into April. This Reliant Stadium Final Four will be a memorable one as Butler and VCU have surprised everyone and will face off Saturday night. UConn will face Kentucky in the other game Saturday night. DirectSeats.com is owned by CAP Digisoft Solutions, Inc.